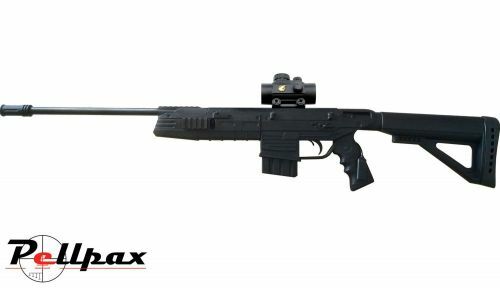 The Gamo G-Force is an entry level rifle from gamo, with a tactical look to really capture the imagination. The action is a break barrel springer, which fires standard .177 airgun pellets so its very accurate and ideal for target shooting, and plinking. The Red Dot sight is also included as well so you can start shooting as soon as you receive it.